two sisters . . . The other day, I had a chance to visit with two sisters via Skype, that wonderful new technology that allows us to see each other and visit via the Internet. The younger sister, who lives in Massachusetts, was visiting the older one who lives in Minneapolis with her daughter, Josie–that charmer toddler that you might have seen on some earlier posts and who is looking at the aquarium in the photo below. Anyway, M. the older sister, had an aquarium when she was young and the younger sister, C., had just provided a new one for her since M. had lived in Japan for almost a decade and had then settled in Minneapolis two years ago. 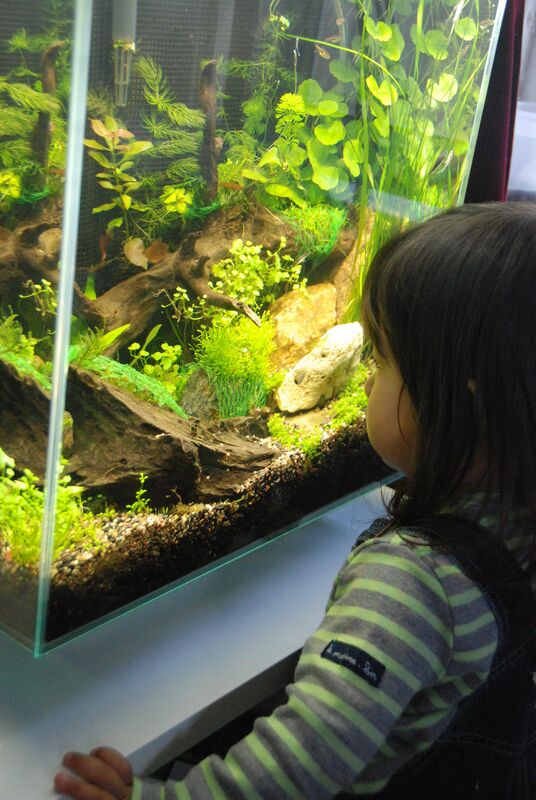 Apparently things have changed a lot in the aquarium world since M. was a kid. For example, there’s a Japanese guy named Takashi Amano who developed a kind of sea plant imagery culture in aquariums that has grown alongside the more conventional tanks filled with lots of fish swimming around. 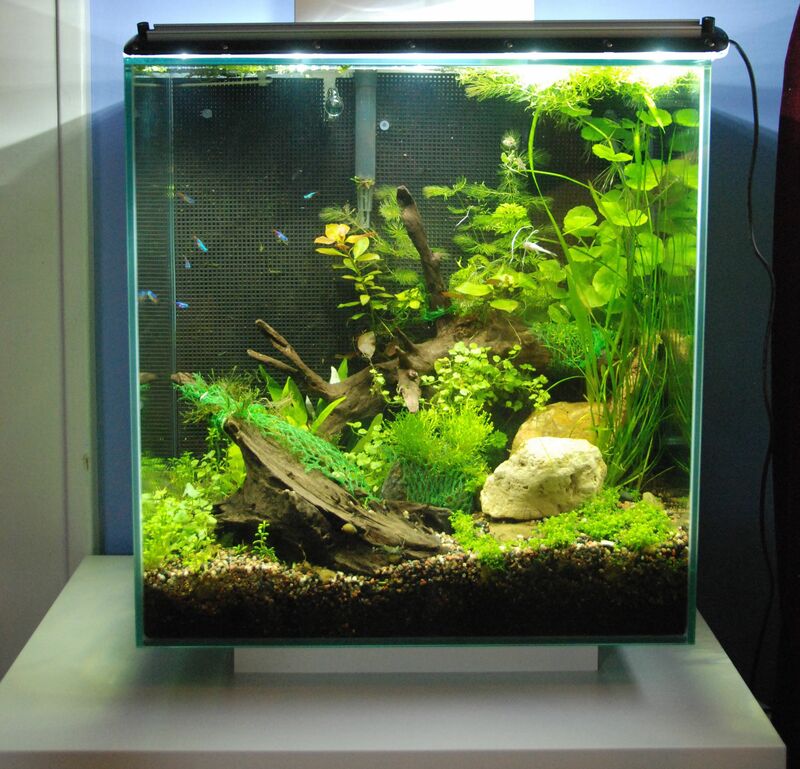 M. has been very patient since she first received this new aquarium, setting up the water filtering system, waiting to study what plants might go together, hand-tying bits of moss cuttings that will eventually grow along the back of the aquarium. She has been waiting for C. to visit before going out together to buy a knife-ruffle fish last week, a nocturnal vision (youtube clip) that is amazingly graceful to behold. This week, they were excited about going out together to buy the first neons, nine of them and some shrimp to add to the acclimating tank. Yesterday, they skyped me when they returned from the aquarium shop. Holding a bag of tiny tetras, M. gently scooped them up and deposited them into the aquarium, instant tiny schools of fish darted around. Today, M. told me the names of the shrimp and the neons. She said that she removes 60% of the water once a week in order to keep the water clear as a crystal. I asked her how she managed to siphon off that much water off the top without accidentally sucking up the tiny fish as well. She laughed and said she was careful. Earlier in the day, we had visited on Skype when they had just finished doing workouts in the basement, taking showers and then settling down to make scrambled eggs for Josie and fruit smoothies for them all. It was fun to see them so happy just being together. They laughed when they told me about how they were going to watch a DVD on their new cable service the night before, but decided instead to lie on the bed and watch the aquarium instead. And how do I know this and why am I so touched? Because these lovely sisters are my daughters, that’s why. P.S. 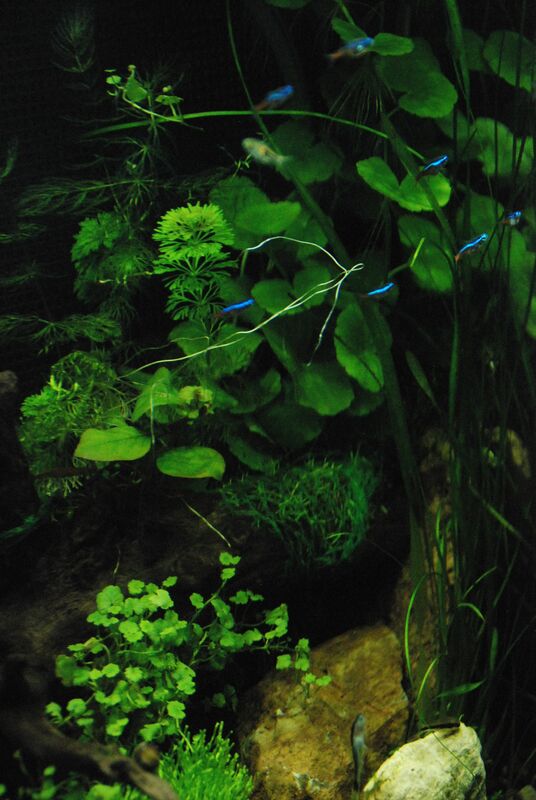 If you scroll all the way down to the bottom of the last photo, you’ll be able to see the knife-ruffle fish there too. 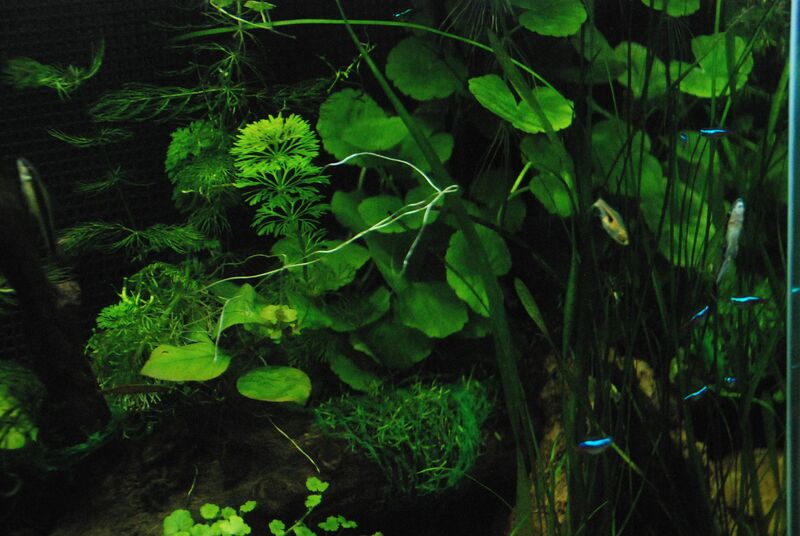 I have neon tetras in my aquarium, too. They are peaceful to watch. Now I want to try using the plants! hi eve, thanks for reading and for your nice comments. busy time for you with the house and life moving along to new places! thanks for your new blog too!